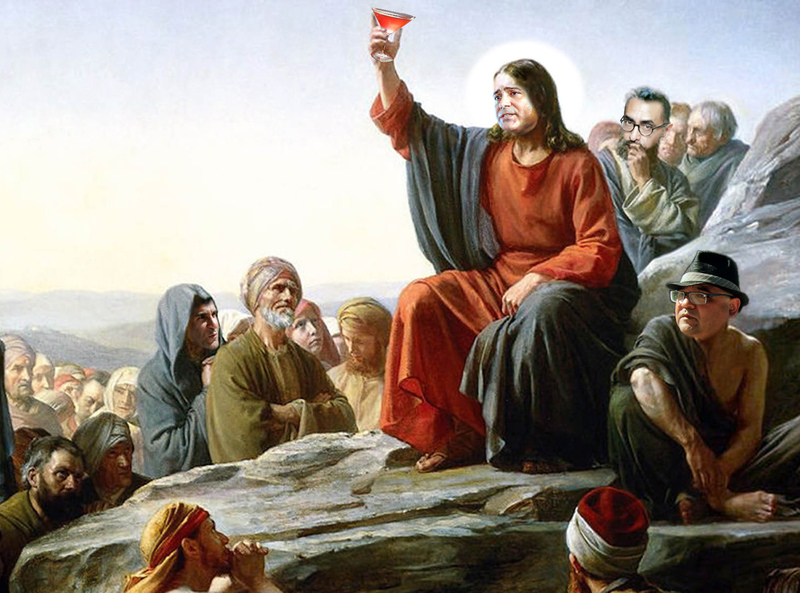 Religion (actually just Christianity) Part 1 – Why We Drink! The mystery cult Mithraism that Jerry was speaking of was actually a Greco/Roman version of much more ancient beliefs of Persian/Zoroastrian origin and even dating back to beliefs from the time of the Hittites 1500+ B.C.E. The Egyptian cult god that is often but mostly incorrectly compared with Jesus is that of the Egyptian god and Son of God, Horace Osiris. It’s a nit pick but just want to be accurate. Plausible however is Jerry’s belief and perhaps lack of surprise that the Jesus myth attached ever more supernatural powers onto Jesus because it was developed in cultures where such abilities and attributes were expected and thus necessary. The proselytizer is selling a product/belief and would find it very hard to gain many followers in the land of human like gods if his belief was based on a nice guy with wise words but no powers. Excellent historical additions about the development of Christianity and the sometimes comical absurdity of the O.T. god from Michael.